In the very near future, a race of huge, insect like aliens is discovered traveling the galaxy. These aliens seem dedicated to the eradication of the human species as it takes its first steps away from the solar system, and they are getting closer and closer to Earth. Humanity has responded by developing spacegoing battleships and giant fighting robots. These robots are piloted by the best and brightest of Earth`s youth, picked from training schools around the world. The story begins in the year 2023, not long after the first battles with the aliens, and centers on young Noriko Takaya. 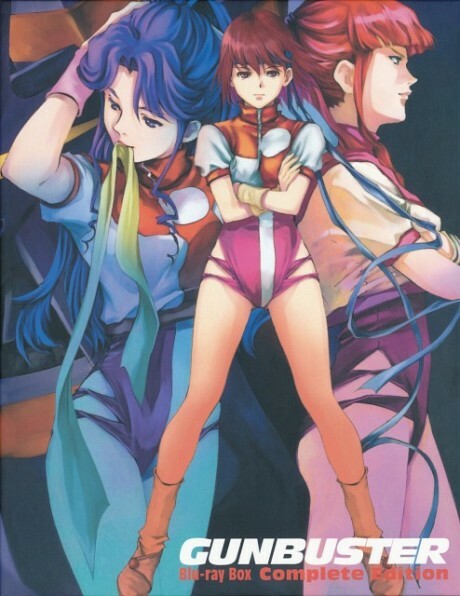 Although Noriko`s father was a famous Captain in the space fleet who was killed during one of the first battles of the war, her own talents as a pilot are questionable. Nonetheless, she has entered a training school. Through the series Noriko, joined by the beautiful and talented Kazumi Amano, will fight to overcome the trauma of war, the doubts of her peers, and her own lack of confidence. The weathered rock of Gainax, still standing strong. A fantastic show representative of the mecha genre in its early stages.